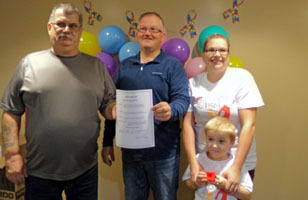 On October 1st, 2015, Mayor Jamie Park signed a Proclamation stating that the month of October is Autism Awareness month. 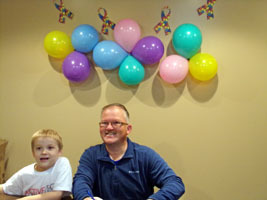 Both the towns of York Harbour and Lark Harbour is now Autism Aware! Western Regional Waste Management has implemented a new program at Wild Cove Dump Sites. You now need a pass card to enter the site to dump your garbage. You can get your card on site and it is preloaded with a $10.00 credit .The town also has a card that you can sign in / out to use so there will be no charge to the resident to dump garbage. This card must be returned to the office within 24 hours. We encourage all residents to use their $10.00 credit first before using the Town’s card. Wild Cove Dump Phone: 709-632-3360 Hours: Monday - Sunday 8am - 4:30pm. Available for deliveries Mon.- Fri. From Corner Brook to the South Shore Bay of Islands. Call Eric for rates. 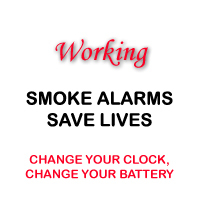 York Harbour/Lark Harbour Fire Department would like to remind you to change batteries in your smoke detectors on a regular basis. A good practice is to change them when you change your clocks in the spring and fall. Smoke detectors can save lives. 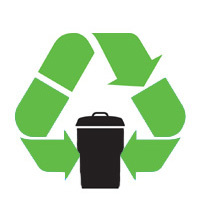 Due to the rising costs of garbage removal, the Town Councils of Lark Harbour and York Harbour are promoting composting to reduce waste. Recently there has been an increase in roaming dogs. 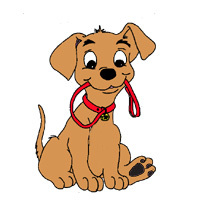 Council would like to remind you to keep your dogs safely tethered at all times. Thank you for your anticipated cooperation. The people you love are the people we care for every day. We are nationally accredited and our friendly, professional staff and commitment to excellence means we provide the highest quality care in the comfort of home. Our Services Include Home Care, Foot Care, Blood Collection, Cholesterol Testing, Private Duty Nursing Services, Vaccinations and Wellness Testing, DNA Testing, Drug and Alcohol Testing. Care Givers are willing to set up a clinic at the Lark Harbour Town Hall to provide the above noted services. If this is something that you would be interested in and would like to avail of, please feel free to contact Heather Lewis at 388-1550.
or call toll free 1-800-222-TIPS (1-800-222-8477).